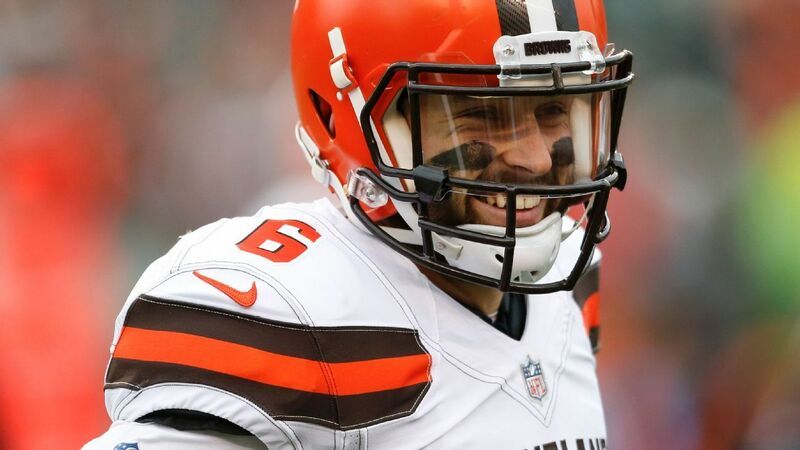 The Cleveland Browns have all of a sudden become a talented — and public — team this offseason. Their Super Bowl odds shifted from 25-1 to 14-1 at the SuperBook at the Westgate Las Vegas after the trade for Odell Beckham Jr. and they are now the most-bet team to win the Super Bowl by tickets and money at DraftKings Sportsbook in New Jersey. Add favorite to win the AFC North to the list of offseason accomplishments. The SuperBook opened the Browns as +140 favorites to win the division on Saturday, trailed closely by the Pittsburgh Steelers at +160 at Baltimore Ravens at +250. The New England Patriots are the biggest divisional favorite at -700 to win the AFC East for an 11th straight season. The Miami Dolphins have the worst divisional odds at 40-1. The Indianapolis Colts are AFC South favorites (+125), followed by the Houston Texans at +225. The Philadelphia Eagles are slight favorites (EVEN) in the NFC East over the Dallas Cowboys (+125). The Chicago Bears (+160) are the favorites in the NFC North, with Minnesota and Green Bay at +200. As David Purdum reported, the addition of Beckham to the Browns’ upgraded roster is worth “.5 to 1 point” to the team’s power rating, in line with other elite players like Julio Jones and Antonio Brown. Cleveland also added defensive tackle Sheldon Richardson and defensive end Olivier Vernon this offseason. According to sportsoddshistory.com, the Browns have never closed as the AFC North favorite (dating back to 2002 when four-team division was created).